Most of us don’t pay much attention to our voices on a day-to-day basis, as we take for granted our ability to talk, shout, whisper, laugh, and even groan. It is not until we notice a temporary and self-limiting voice change that we begin to listen to our tone of voice. Our voices can say a lot about our health, with tone fluctuations happening frequently with a number of minor illnesses, but sometimes it can signify a more serious problem. A croaky voice, or the loss of voice entirely, most often derives from an infection in the throat or from overusing the voice. The changes in pitch — the highness or lowness — occurs when there are changes in the shape of the gap between the vocal cords. However, it is the shape of our throat, nose and mouth, that will determine the quality of our sound, which is why everyone’s voice sounds different. A croaky voice in the morning may seem characteristic of waking up out of bed, but this can be an obvious sign of acid reflux. The recurring motion of stomach acid from the stomach back up into the esophagus can also reach the larynx and throat, often referred to as "laryngopharyngeal reflux," or LPR. Acidic irritation to the larynx can lead to a hoarse voice, according to Healthline, as the vocal folds begin to swell from the irritation, damaging the normal vibration. The common cold can produce what is considered to be an unflattering tone of voice when the nose is blocked. Cooper points out “head cold” voice sounds like a lack of nasal airflow, or a muffled, congested quality. “If air is not able to pass through the nasal passages (either due to illness or habit), a head-cold-like sounding voice may result,” she said. This leads the voice quality to be very different, since our tone of voice resonates in the nose and sinuses. Permanent “head cold” voice can derive from chronic rhinosinusitis, the inflammation of the paranasal sinuses due to either an infection, allergy, or immune reaction to something in the environment. Some patients with chronic rhinosinusitis will go on to develop chronic sinusitis, where nasal polyps — abnormal but non-cancerous growth — block the sinuses. The Mayo Clinic says chronic sinusitis cannot be cured, but it can be treated with steroids to reduce the polyps. Sometimes these polyps may have to be surgically removed in the hospital if medication is not effective. A change in voice often means there is something amiss with the thyroid gland. Thyroid problems can lead to hormonal imbalances, which has a negative impact on the voice. Most commonly, says Cooper, deepening of the voice is reported. In adults, hypothyroidism — an underactive thyroid — results from insufficient secretion of thyroid hormones, which can be due to a variety of abnormalities, and lead to a deep hoarse voice. Patients with thyroid problems may also hear a weakening of voice quality. If the thyroid gland or a growth on the thyroid is imposing on the recurrent laryngeal nerve, Cooper says a vocal fold paralysis or paresis may result. A difficulty in varying pitch is also commonly reported, which reflects a impingement on the superior laryngeal nerve. Patients with thyroid cancer may have the nerve destroyed, which is usually only on one side. This can lead to paralysis on one side of the larynx, so only one vocal cord is able to move. Voices will tend to come off as a whisper. Speaking in a quieter tone of voice and eventually developing into a flatter-sounding monotone voice could be an indication of Parkinson’s Disease. Approximately 90 percent of patients with Parkinson’s experience vocal changes. “PD patients have difficulty with self-monitoring and very often think they are speaking loud enough, with enough inflection, but seem flat and monotone to the outside world,” Cooper said. 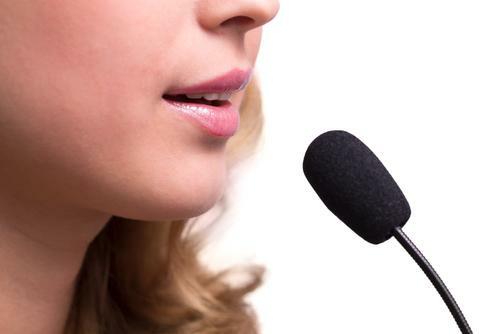 An unexpected change in voice that continues to be constant deserves medical attention. In the early stages of laryngeal cancer, tumors found in the throat can cause change in the voice. This is because the vibrations of the vocal cords are affected once there is an irregularity in the throat, which leads the voice to become hoarse. According to the Atlas of Genetics and Cytogenetics in Oncology and Hematology, true benign tumors constitute five percent or less of all laryngeal tumors. However, hoarseness could also be due to laryngitis, which usually gets worse over the course of the day if you are ill, and may last for up to a week after the other symptoms have gone. Remember, listen closely to your voice. It may be trying to tell you something about your health.